A 501 (c)3 non-profit corporation in the State of Nebraska organized in 1981 exclusively for charitable and educational purposes. What do you gain by hiring an architect to design your home? Home under construction, January 2014. Photo courtesy of the Trenkle family. This past weekend, the Nebraska Builders Home and Garden show was held at the Lancaster Event Center in Lincoln. AIA Lincoln had a booth at the show and talked with many people about the benefits of hiring an architect to design your home. Many people neglect to consider this option when they make the decision to build or to buy a newly constructed home, and immediately jump to looking through a builder’s standard set of plans. What you may not know is how much you stand to gain by hiring an architect for such an important project in your life. This website has a page dedicated to “The benefits of hiring an AIA architect to design your home,” so these are not new ideas, but maybe just a new way to think about this issue. So, why should you hire an architect? Architects are trained to examine and evaluate various sites to find the right one for your needs and budget. Once you choose a site, an architect can design your home to frame and focus on optimum views, maximize energy efficiency, and fit into the neighborhood context, without looking like every other house on the block. Architects are also trained to be problem solvers. This training, combined with experience resolving issues involving anything from building codes and zoning to fundamental structural issues, allows an architect to understand the design and construction process and anticipate potential challenges. Heading off challenges before they appear in the construction or permitting phases could potentially save you a lot of money, not to mention headaches. Working with an architect means you can explore and compare various alternatives to make sure your goals are met. And, an architect can help find ways to align your budget with your requirements and desires for your home. An architect will work with you to determine what is most important to you, what you can live without, and how to unite that into an attractive and functional home. An architect can provide high quality design and detailing, beyond a builder’s standard set of house plans. An architect can suggest special features or options, different material choices, or different fixtures within your budget or at no additional expense. An architect will also work with design team members to assure the structural, mechanical, and electrical integrity of your home, while also meeting codes, regulations, and ordinances of approval agencies. Just because certain materials or a mechanical system is “typical” or available to a contractor, doesn’t mean it’s the best choice for your circumstance. An architect can help work through such issues, and possibly save you energy and money. There are a lot of good house plans out there, but why not work with an architect to develop a plan specifically for you and your family? Your lifestyle and daily habits can be dramatically affected by your surroundings, and an architect can help you work through various options until you find what works for you. Bigger is not always better, and an architect can show you where to find efficiencies. Do you really need that extra bathroom? Can you combine certain activities into one room through special features, and eliminate unnecessary square footage? And what about the exterior? While an architect is working with you to find just the right plan layout, he or she can also be tweaking the look of the exterior to provide a truly unique and pleasing house, both inside and out. An architect provides thorough construction documents, allowing qualified general contractors to bid competitively on your project. This increases the likelihood of obtaining multiple bids at competitive rates for the construction of your home. Additionally, alternative bids can be solicited for certain features, providing flexibility to meet your budget. 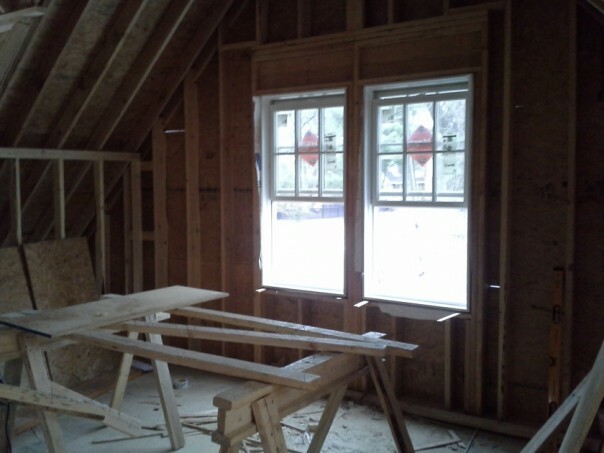 Interior view, home under construction, January 2014. Photo courtesy of the Trenkle family. 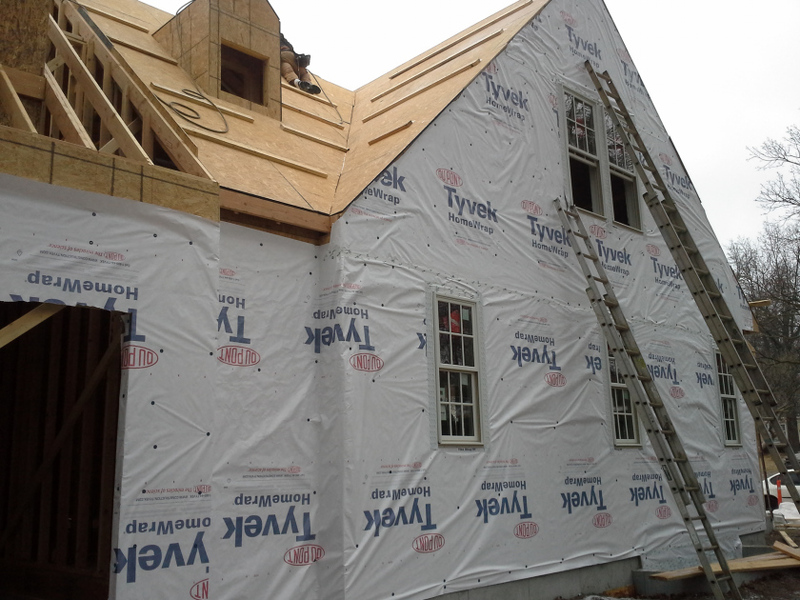 Your architect can be involved during the construction process, looking out for your interests during construction. He or she can monitor the construction phase to ensure that the home is being built according to the drawings, and is available to help you through issues that come up during construction. An architect is your advocate in the design and construction process, listens to what you want, and pulls together the functional, structural, circulation, orientation, and aesthetic considerations of your home into a unified whole. Building a home might be one of the most exciting and stressful experiences of your life; wouldn’t it be great to have a design professional dedicated to the highest standards of professionalism, integrity, and competence helping you through it? Click here to find an AIA architect in Nebraska. Click here for information on choosing an architect and questions to ask your architect. 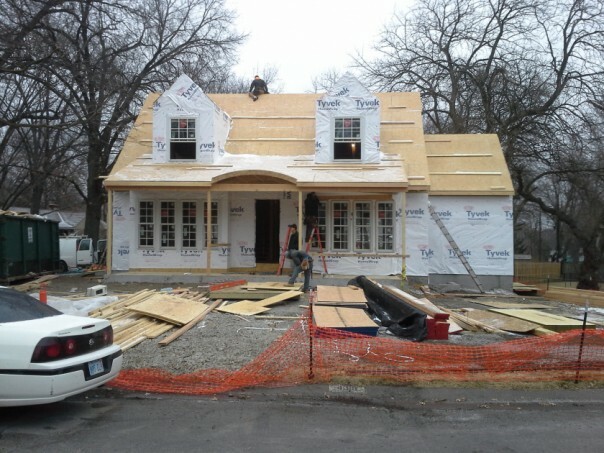 This entry was posted in Ask the Architects on February 12, 2014 by Jenni Felton. Images at the top of this page used with permission from Kurt Johnson Photography, Tom Kessler Photography, RDG Photo, and Paul Brokering Photography.